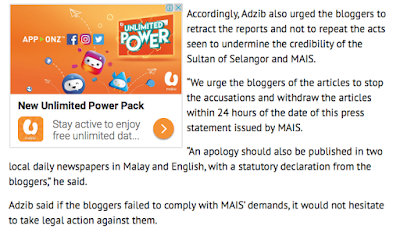 TTDI, 16/3: Last Thursday, the Selangor Islamic Religious Council (MAIS) sent out a Media Statement that accused two bloggers, including yours truly, of writing something that we didn't write. 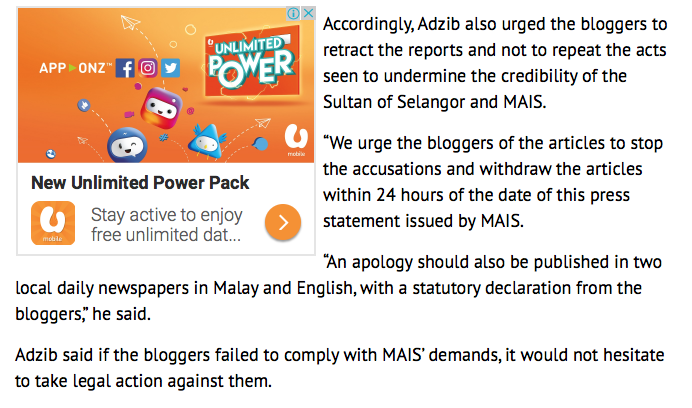 In that statement, reported by all major newspapers and aired on RTM and Youtube, MAIS demanded that the bloggers apologize to the Selangor Sultan in writing, within 24 hours, or it would sue. The Istana, for the record, made no such demands of me. I have kept quiet and did not blog about MAIS' wrath because I was half hoping that the Council was bluffing, that they were just dropping the Sultan's name in the hope that it was the best way to silence me. 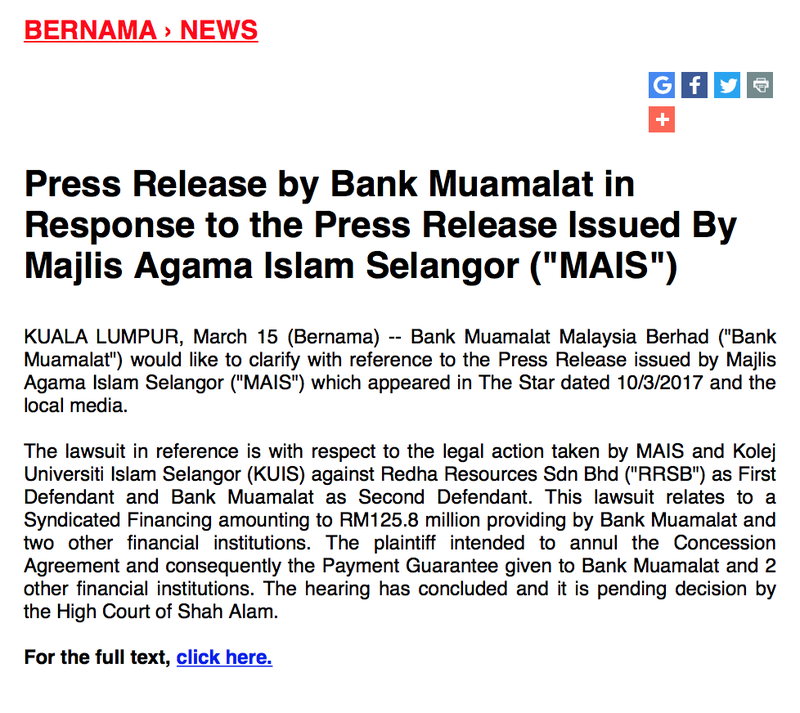 Bank Muamalat has not initiated any legal action against MAIS and/or KUIS in respect of the Payment Guarantee provided by MAIS and KUIS. We will act in the best interest of the Bank to recover the amounts due. Bank Muamalat’s rights against MAIS and KUIS are reserved. It is MAIS that is not honouring agreement by seeking to annul. Are they hoping that by throwing the name of the Sultan that law and order and agreement can be simply thrown out? Now that MAIS has resorted to take on bloggers, they have exposed themselves as not honourable. Once signed, an agreement is to be honoured and not annuled. I believe it is haram not to honour ones agreement. There is a Mufti on MAIS council. Don't tell us he will justify and defend such dishonourable conduct of MAIS.